We have established ourselves as one of the prominent exporters of a wide range of fresh vegetables, fruits, pulses and spices. One of our range includes Basmati Rice. These Basmati Rice are procured directly from the farmers and are stored in a proper ventilated godowns. 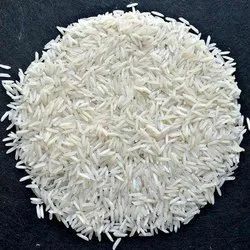 Our quality personnel check these Basmati Rice on the parameters of taste and freshness during the procurement and also make sure that the packaging is also being done in a proper manner. The quality range of Basmati Rice offered by us is used for making delicious pulao, biryani as main course on special occasion. These grains remain separate and fluffy when cooked with rich aroma. These are well cleaned and hygienically processed and packed through latest state-of-the-art machines.